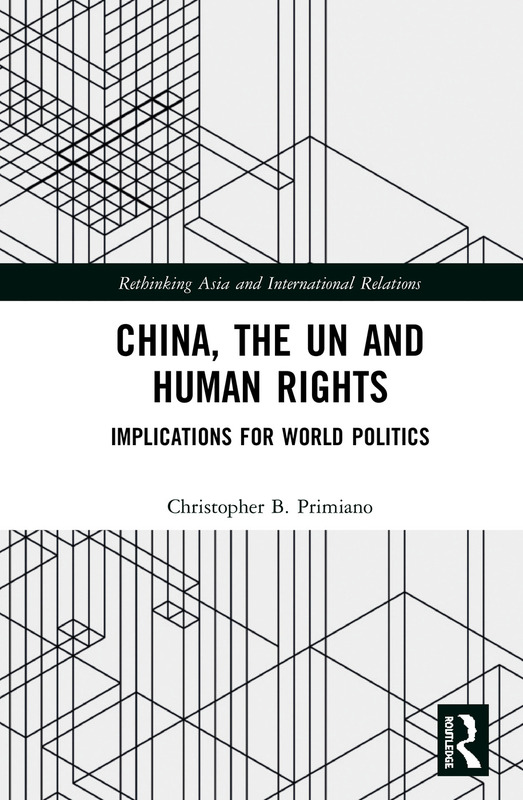 Addressing the problem of reconciling China’s voting record at the UN on human rights and repressive policy at home, this book argues that domestic factors determine the way the Chinese government acts on wider human rights issues. China has a very active voting record in the United Nations General Assembly (UNGA) on human rights resolutions and is active internationally on such rights, something at odds with its increasing repression of human rights at home. Using rational choice’s emphasis on actors acting to advance their preferences, the author argues that it is the perceived domestic threat to the rule of the Chinese Communist Party (CCP) that determines the way the Chinese government acts on the human rights issues explored in this book. The author documents the pattern of this relationship through an in-depth examination of China’s voting in the UNGA on human rights issues and statements made by Chinese delegates at the UN on human rights issues. This book will appeal to China scholars, human rights scholars, IR scholars, IO scholars, and for both state and non-state actors seeking to advance policy changes regarding China and human rights. In addition, the findings have policy implications for INGOs and states seeking to influence China’s policies. Chapter Two: China’s actions over the years on human rights and international politics: more of the same or fundamental change? Christopher B. Primiano is a part time lecturer at Hunter College in New York, USA. Previously he was a Teaching Fellow in International Studies at the University of Nottingham Ningbo, China. He received his Ph.D. from the Division of Global Affairs at Rutgers University-Newark and his research focuses on Chinese domestic and international politics. This series provides thoughtful consideration both of the growing prominence of Asian actors on the global stage and the changes in the study and practice of world affairs that they provoke. It offers a comprehensive parallel assessment of the full spectrum of Asian states, organisations, and regions and their impact on the dynamics of global politics. The series encourages conversation on: ¢ What rules, norms, and strategic cultures are likely to dominate international life in the 'Asian Century'; ¢ How will global problems be reframed and addressed by a 'rising Asia'; ¢ Which institutions, actors, and states are likely to provide leadership during such 'shifts to the East'; ¢ Whether there is something distinctly 'Asian' about the emerging patterns of global politics. Such comprehensive engagement not only offers a critical assessment of the actual and prospective roles of Asian actors, but rethinks the concepts, practices, and frameworks of analysis of world politics.